It’s approaching that dreaded time of the year again, time for our annual performance reviews. Managers and employees alike despise this process, so how do we use it to our advantage? The reviews can range from a quick chat to a fully structured meeting, but going about it professionally will help ensure a bright future with your company. It’s important in these conversations to not only think about what you want out of the review, but what your boss needs for the best interest of the company and how your goals fit in with their bigger picture. This is your chance to speak up on aspects of your role such as salary, your performance so far, new expectations, and promotion opportunities. So how do you ensure you’re making the most of your performance review? Here are some questions to get you thinking and help you cover all fields of what’s important to communicate with your manager. How do you want to grow in your position? Talk to your manager about how you will utilise your skills and resources provided to grow within your position. Let them know about extra training you’d like to further yourself and other responsibilities you think you’d be capable of managing. Your boss wants to see that you’re striving to improve and upskill, because a more skilled team equals more success. If you have been thinking about pursuing an opportunity for a new project to better the companies’ success, now is the best time to speak up. Not only will this show your boss your continued interest in the company, but having invested time into an idea shows you’re likely to do well with it, because you care! What makes you happy in your position? Your boss wants an idea of what motivates you and keeps you going within your role to ensure you’re working to your full capability and enjoy your work. This will be different for each employee so it’s important to voice your feelings so your boss can help you maximise your happiness and success within a role. This is an opportunity to explain your goals to your manager. Don’t just talk about specific short-term goals, but your bigger goals for the future. If they can see you plan to grow within the company and your goals fit in their bigger picture perspective, you’re far more likely to be considered for promotion opportunities. It also means you can discuss streamlining your goals with their goals for the best interest of both yourself and the company. What isn’t working and what we should stop doing to improve the company? We are the ones out on the frontline and are often more in tune with the finer workings of the company, and will usually spot issues first. If you can see something that doesn’t need to be done, or have identified a process that wastes time, you should let your manager know. Try to come up with a solution and this will show your boss you’re just as invested in not only yours but the companies’ success. It also shows you have the initiative to find a better way, than just accepting it as the way to do it, when it’s clearly not working. How do you want to be a part of the companies’ success? If you don’t already have some ideas, ask your boss how you can contribute to the companies’ vision. Own the companies’ success as you would your own and strive to do what you can to meet company targets and embody their vision. 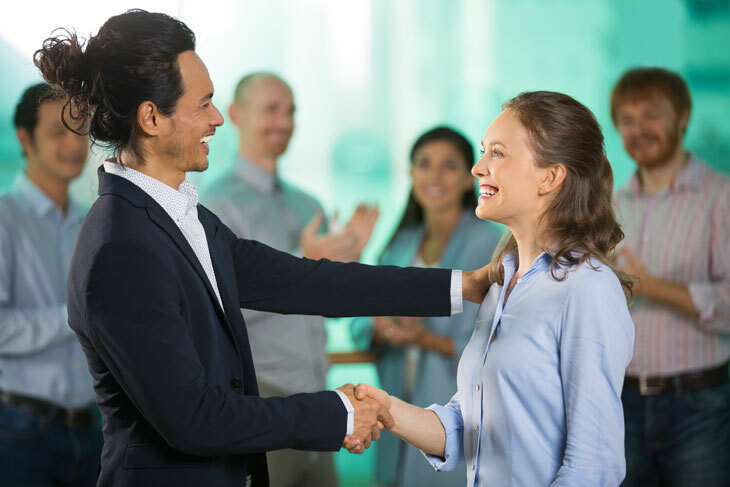 Your dedication to the companies’ success is one the most valuable qualities you can show your boss, and will help you stand ahead of the rest. Do you have any ideas of improvements for technologies or systems? Each employee is exposed to different processes and technologies, and will also have different resources of knowledge outside of work. If you’ve read about a technology that could make current processes easier, your boss may not have heard of it, and suggesting it will save him time and money. You know your role the best, and if you can suggest a software or a new system that could improve the way something is done, this would provide huge value to any boss. Don’t assume they know everything, your input is always valuable. What do you need to help you work at your best ability? Your manager’s role is to provide support, and create an atmosphere and structure that helps you work to the best of your ability. If you have any suggestions on how they could help you work even better, it’s worth speaking up. It shows you’re responsible for your own work ethic and are mature enough to know you’re not working as hard as you possibly could. Whether it’s more regular feedback, a quieter area for working or even just asking if you could have music to work to, it’s always worth asking, because your manager want’s to help their team get the best results.